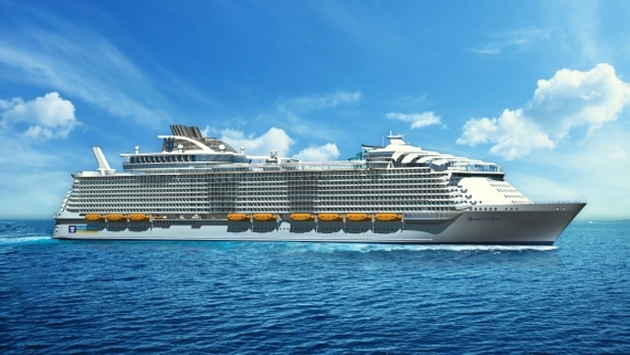 It looks like there will be a new world’s biggest cruise ship in April 2016 when Royal Caribbean International’s third Oasis-class ship enters service. The new Harmony of the Seas will be 227,000 gross registered tons — a measure of volume, not weight —making it just slightly bigger than its 225,282-ton sister ships, Oasis and Allure of the Seas, which now share the world’s largest title. The final size measurement is usually taken when the ship is complete, so the numbers could shift. The Harmony of the Seas will have the same seven neighborhoods introduced on Oasis of the Seas. It also will have three multi-story waterslides, all of which twist and turn over Central Park 10 decks below. One of the slides will have a champagne bowl that swirls guests around as they slide down to the end of the ride. Harmony of the Seas also will have the Bionic Bar on the Royal Promenade — this is the bar with robotic arm bartenders that was introduced on Quantum of the Seas. 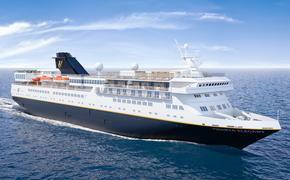 The ship also will issue wristbands that can be used as a stateroom key and to make onboard purchases and reservations. Some stateroom categories will be larger than those on Oasis and Allure of the Seas. The interior accommodations also have the Virtual Balconies that show videos of the view outside. The ship also will have studio staterooms. Suite guests will get access to an exclusive lounge, private restaurant called Coastal Kitchen, and a sun deck. The Dynamic Dining on Harmony of the Seas will include the “Classic” option in which guests rotate through the four complimentary main restaurants at an early- or a late-seating time with their same dining group and waiter each evening. Specialty restaurants will include Izumi Hibachi & Sushi, with a new teppanyaki menu, and the Sabor Modern Mexican restaurant. 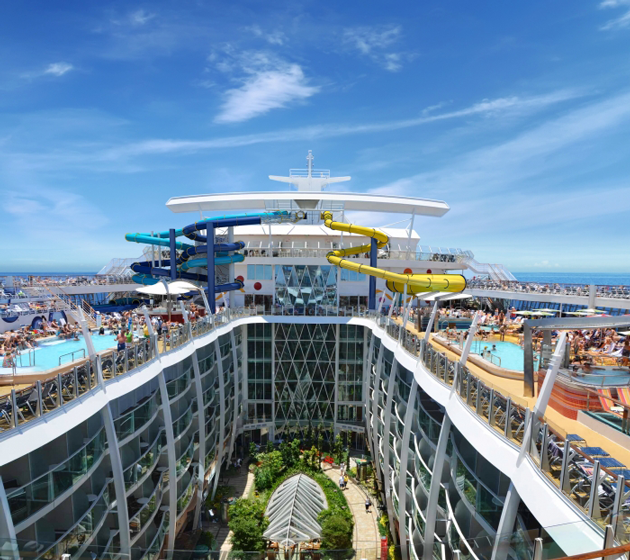 Overall, the 16-deck Harmony of the Seas will carry 5,479 guests at double occupancy. The seven neighborhoods onboard includes Central Park, Boardwalk, the Royal Promenade, the Pool and Sports Zone, Vitality at Sea Spa and Fitness Center, Entertainment Place and Youth Zone.